Dental problems are as common in animals as they are in humans. When you have a pet, he is also subjected to tooth and gum problems. Puppies and pussies display various dental diseases due to the lack of daily discipline. Many of us do not focus on establishing the practice of tooth cleaning and brushing in our pets. Lack of dental care is the foremost reason for diseases in pets. According to the statistics, three out of four health problems in dogs are due to dental illness. Yes, your pooch’s mouth is responsible for various normal and fatal diseases. Dental hygiene when maintained leads not only to the pearly white teeth but also prevents bacteria that may create chronic diseases in cats and dogs. How dog dental care adds healthy years to a pet’s life? It cleanses oral cavity: Any dog’s oral cavity is the place of germination of 80 percent bacteria. By keeping the oral cavity clean, one can prevent growth of disease causing bacteria. This will reduce chances of various fatal diseases like periodontal disease, gingivitis, pyorrhea etc. No bad breath: What we call bad breath is the result of toxins that are formed on a daily basis. The foul smell is actually the result of months of bacterial attack. It is a sign of damage that has already been made. By proper dental care, one can reduce germ attacks and prevent bad breath in dogs. No diseases: Most of the diseases start from the pet’s mouth. By forming teeth brushing habit, one can rule out possibilities of diseases in cats and dogs. Thus, your pet lives longer without any chronic health problems. 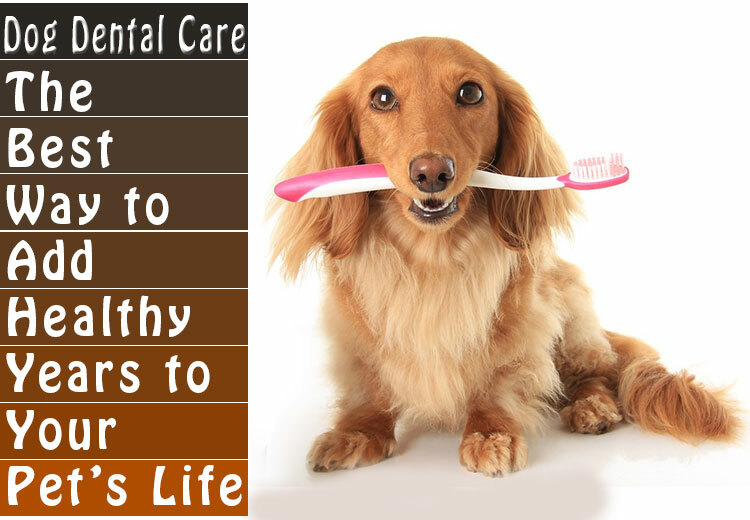 Apart from all this, regular teeth cleaning habit creates a sense of discipline in a pet’s life. It is always good to take care of pet’s teeth the way you care for your children’s teeth. Pet toothpaste and pet dent toothbrush will help in creating dental care habits. You can choose to brush your pet’s teeth twice or thrice a week or go for daily brushing habit. In addition, you can use oral gels that are a good substitute of brushing. When you are unable to brush your pet’s teeth use these gels to maintain oral hygiene in dogs and cats. When it comes to food, give dry food to the pet that is going through dental disease. The reason is that wet food sticks on the teeth and gums. Sticky food creates more bacteria and germs. To sum up, pale teeth and bloody spotted gums are a sign of disease in dogs and cats. You need to consult your vet to find the best treatment for your pet. It will help in regaining his firm, pink colored gums and pearly white teeth. Just make teeth and gum care a part of routine pet care to keep illnesses away from your pet. As it keeps away diseases, it is one of the best ways to add more healthy years to your pet’s life!